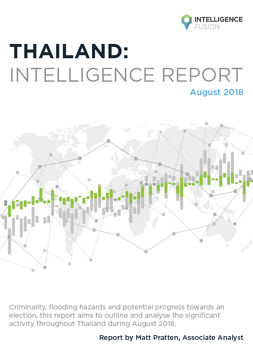 Criminality, flooding hazards and potential progress towards an election, this report aims to outline and analyse the significant activity throughout Thailand during August 2018. 1. What threats exist in Thailand?